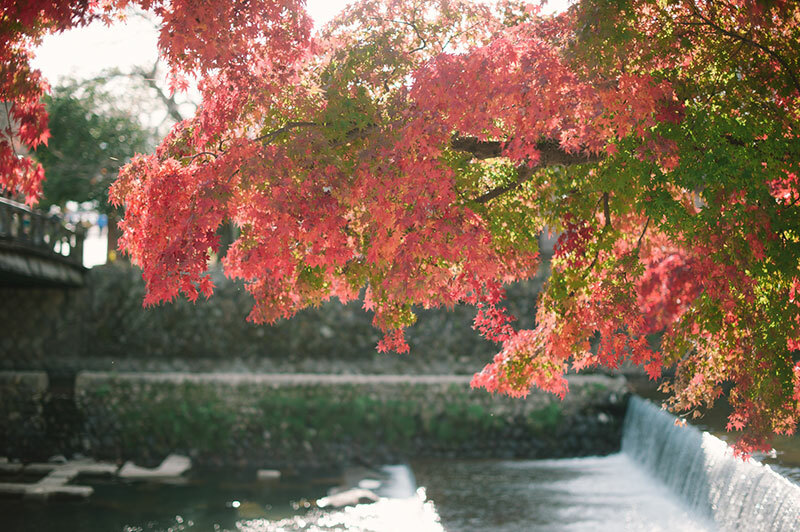 Don’t you love fall? 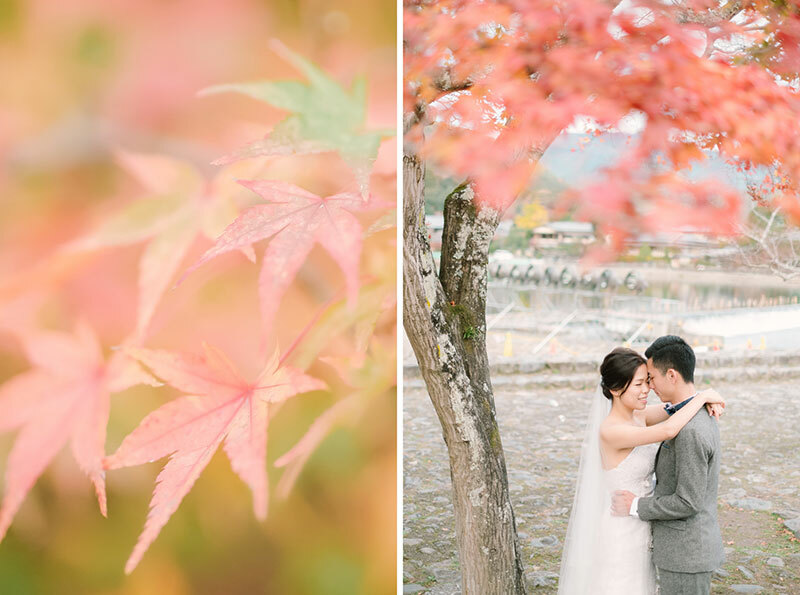 ‘Tis the season of vibrant organges and yellows mixed with deep reds and burgundy. 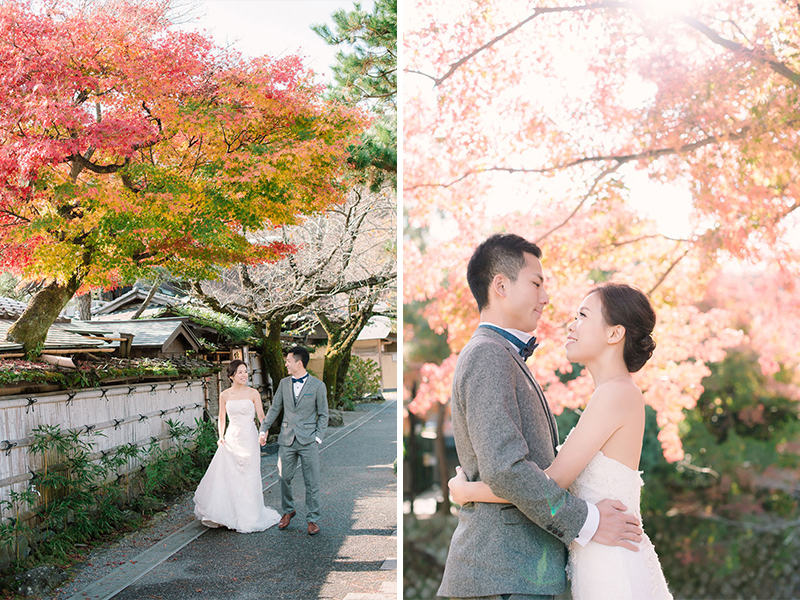 The burst of color that the season brings is truly captivating! 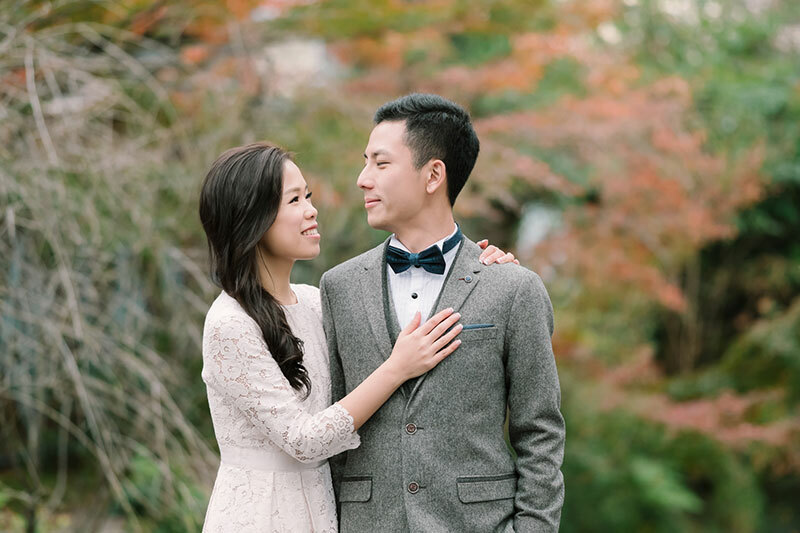 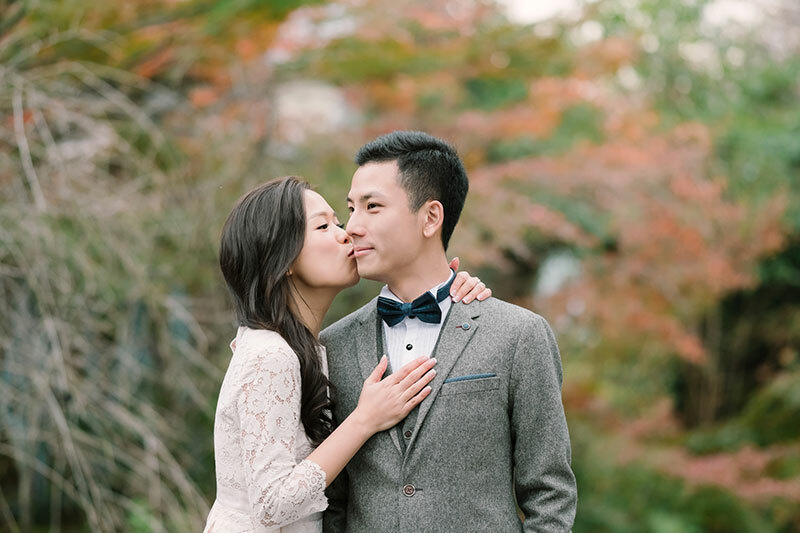 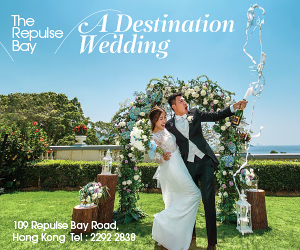 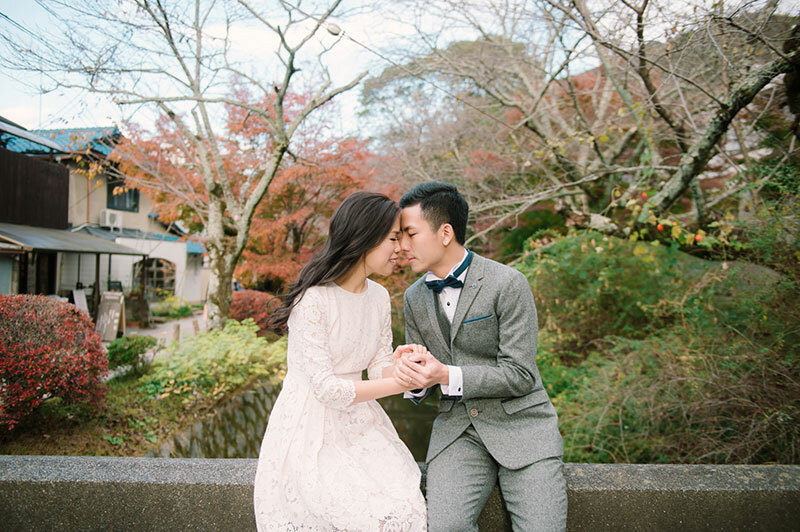 And this is what greets us upon viewing Victor Lui‘s photos of Christy and Benjamin’s prewedding shoot. 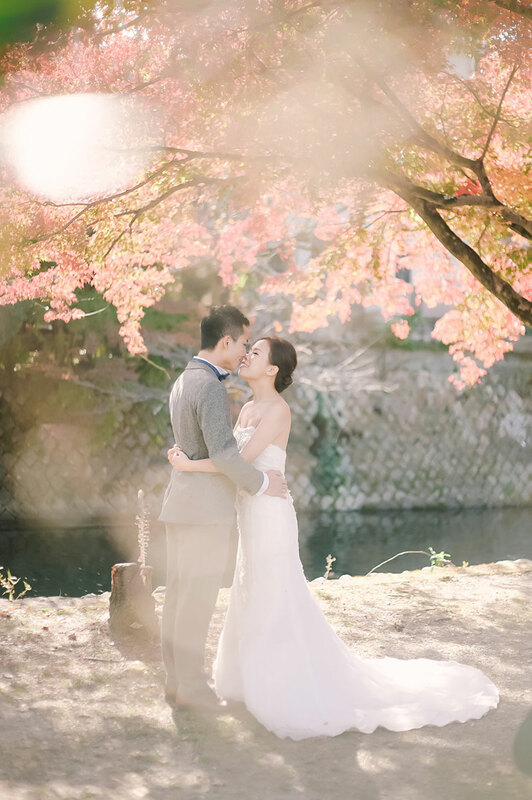 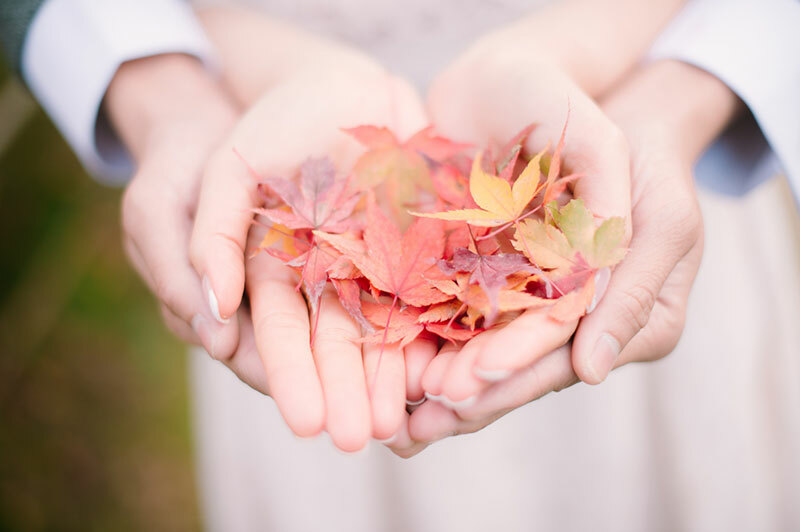 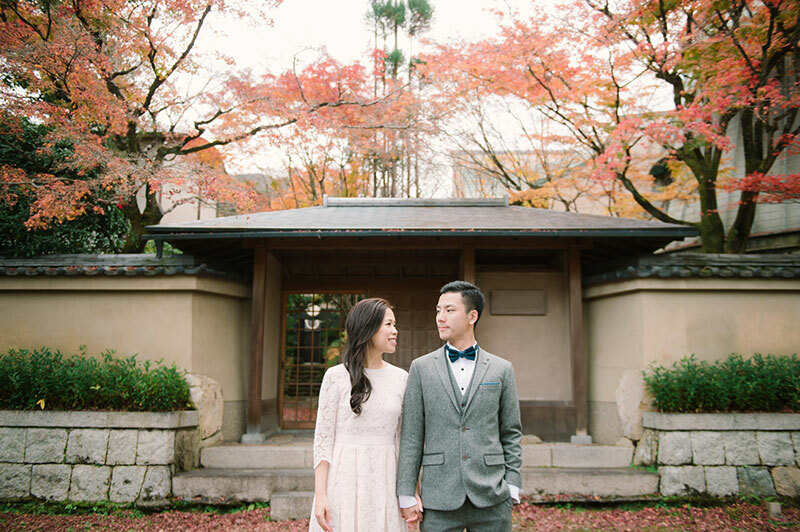 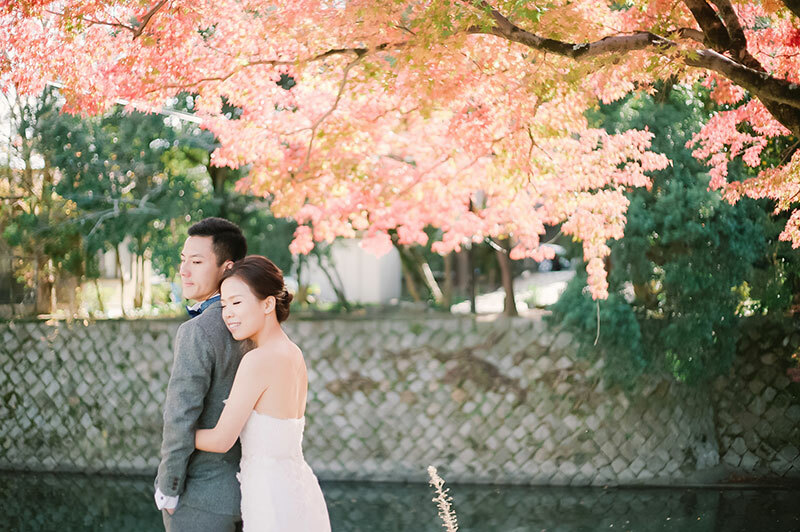 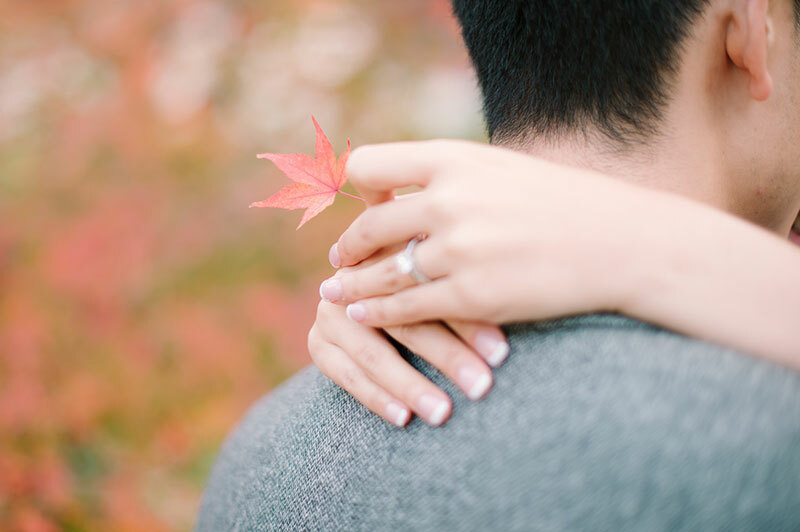 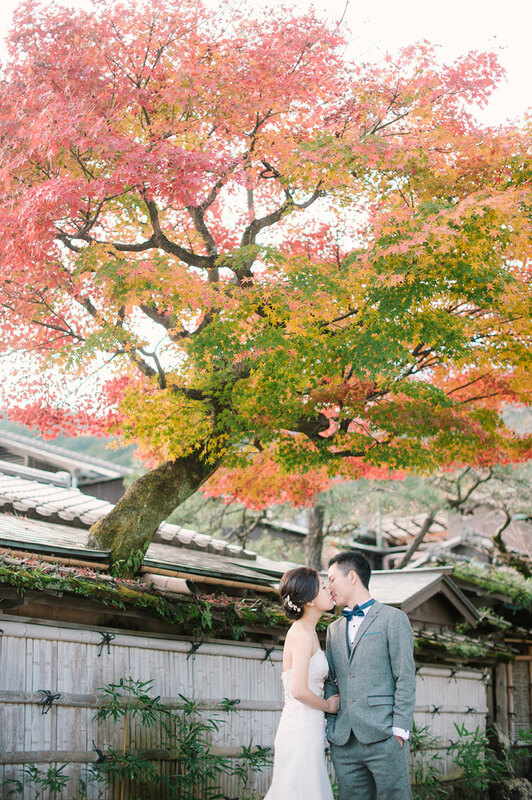 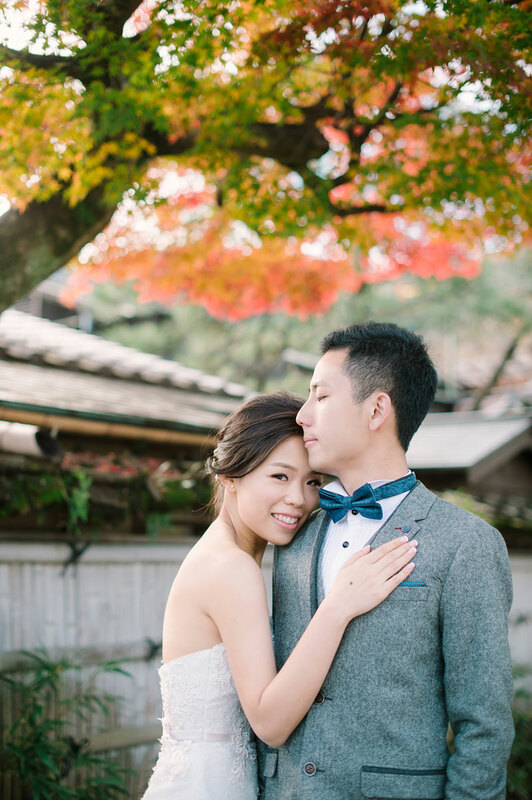 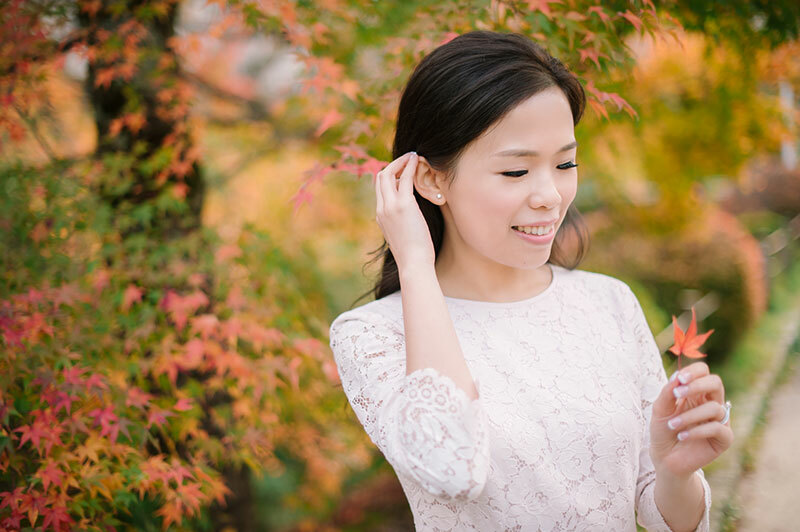 We can’t get enough of the colors of the trees and the atmosphere of affection that surrounds the two. 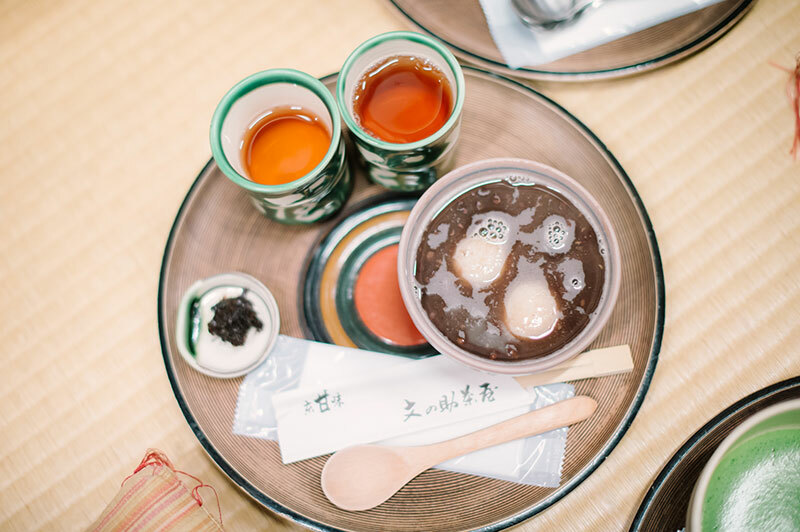 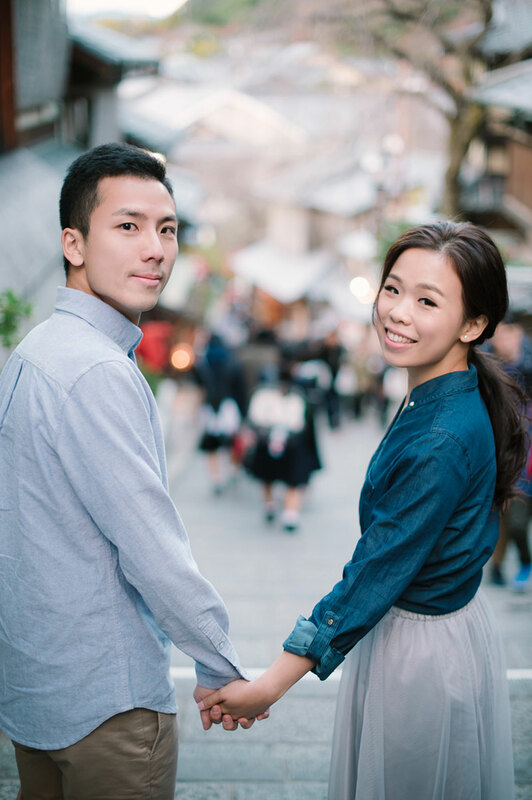 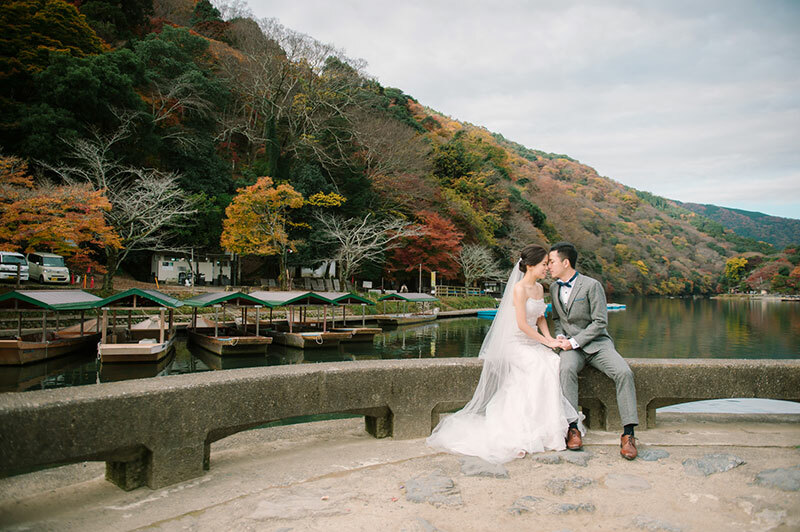 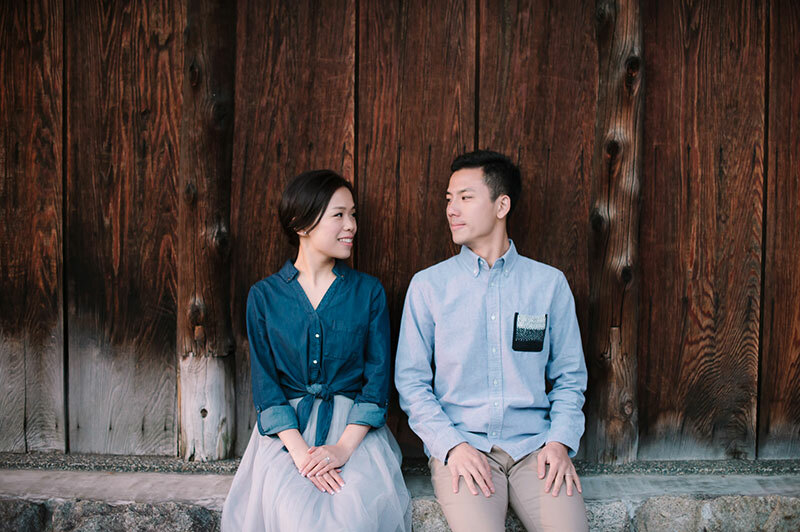 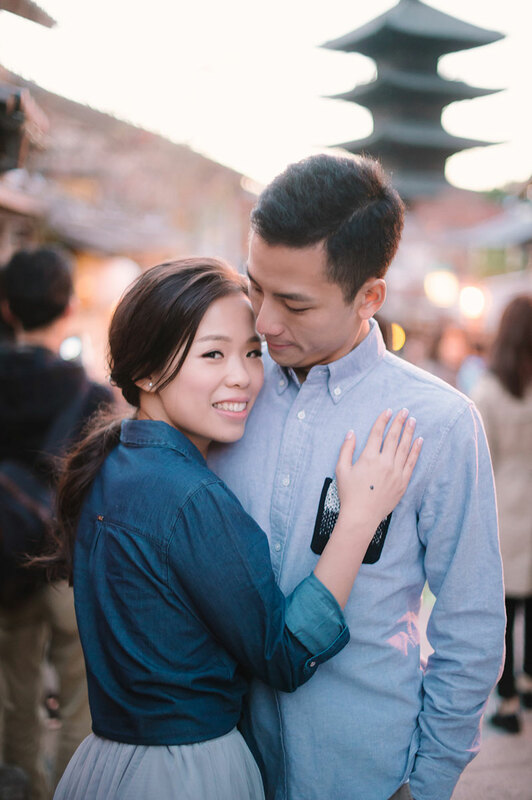 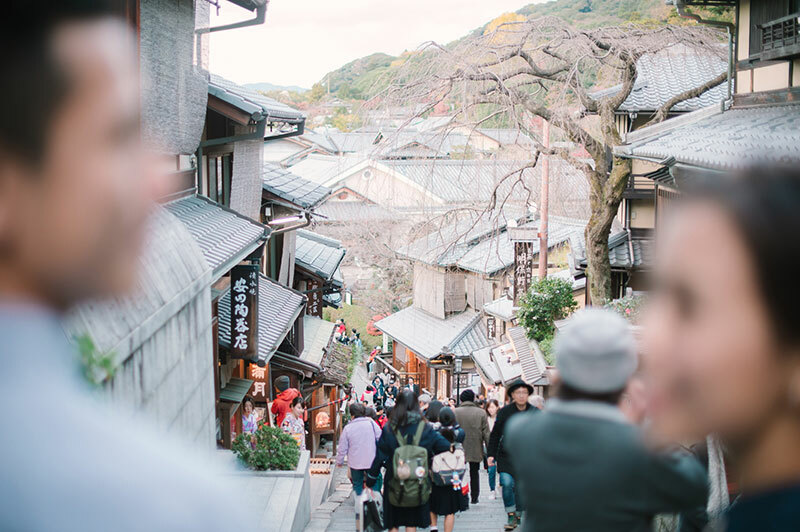 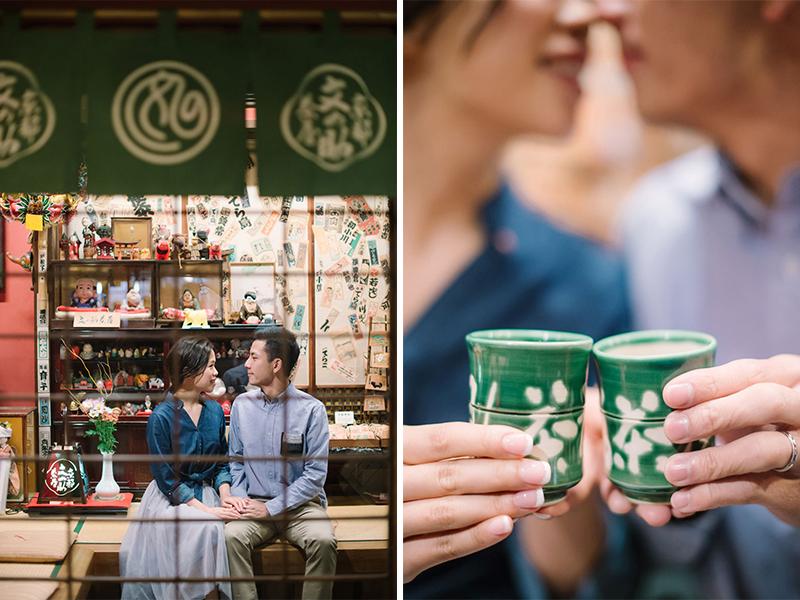 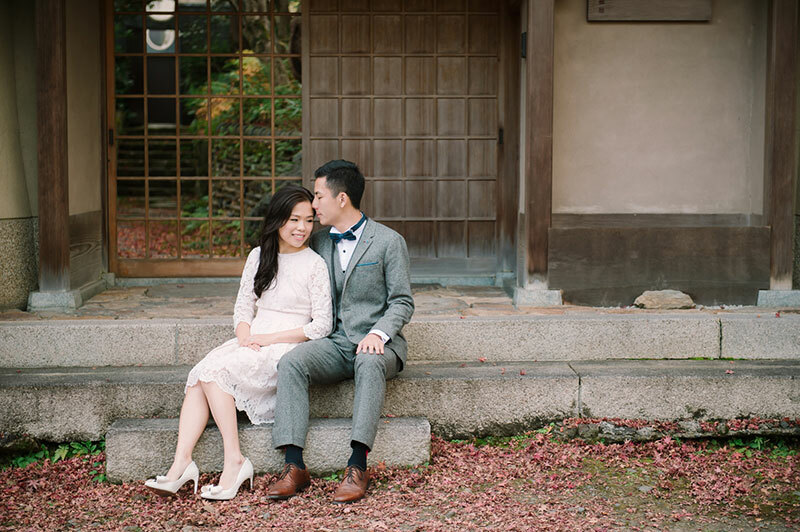 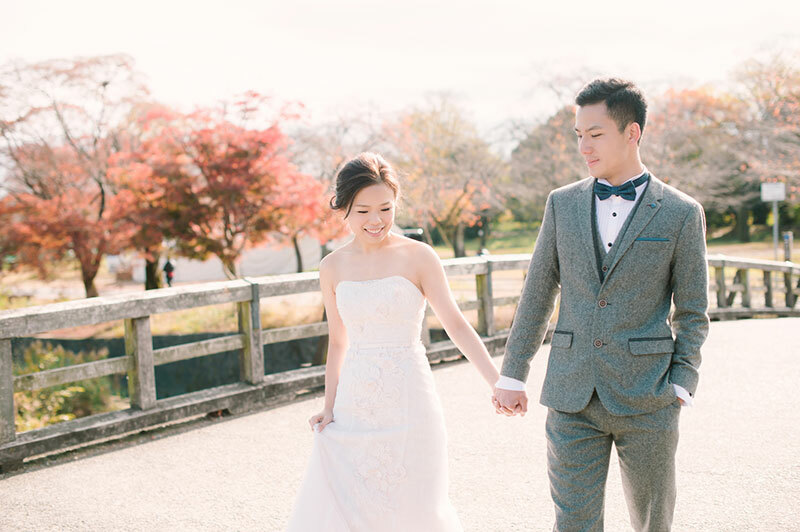 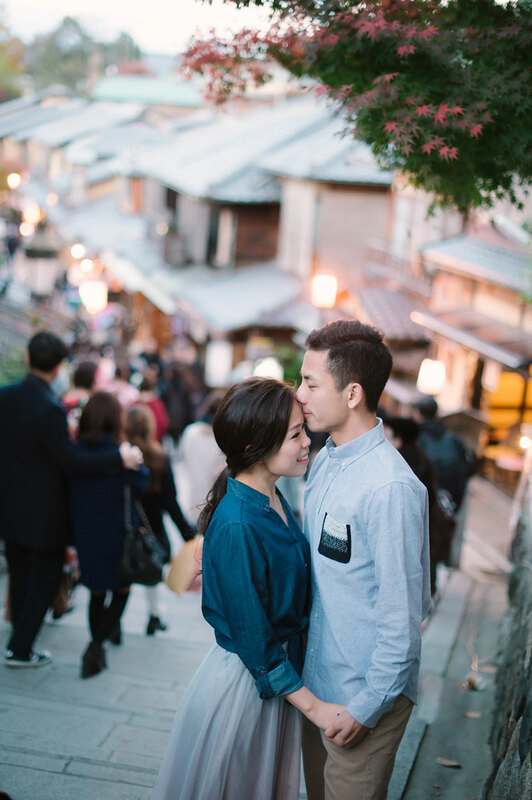 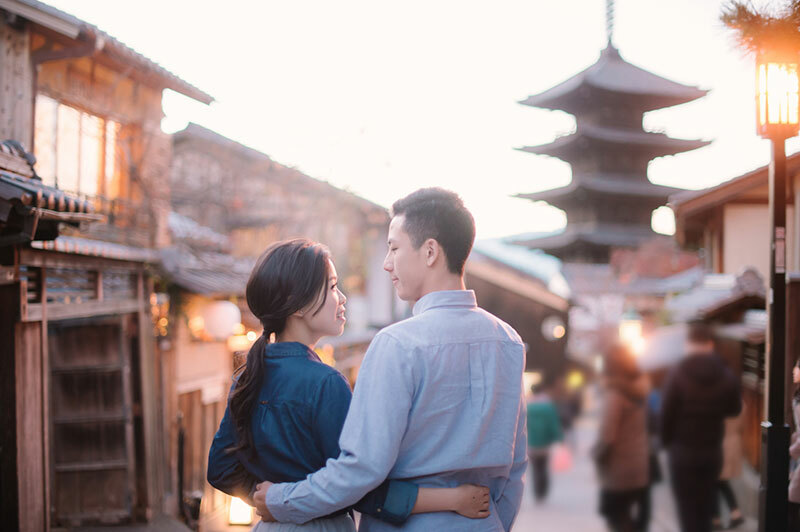 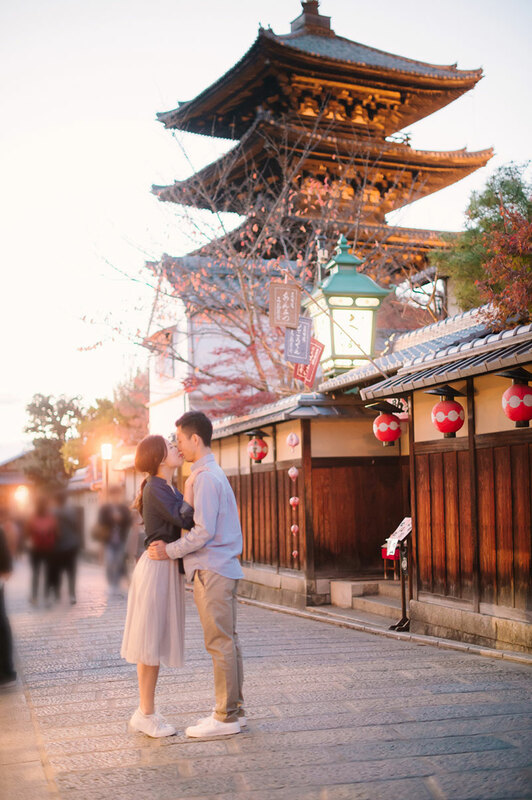 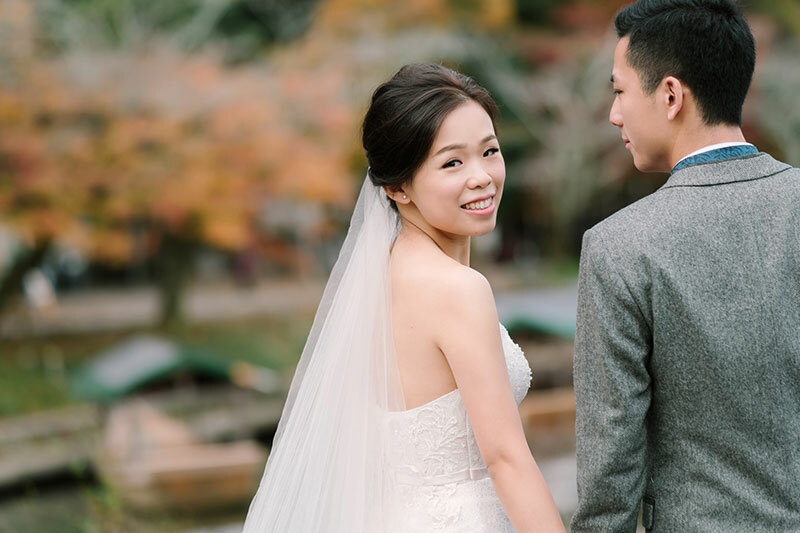 Wandering off with these couple seems like a good idea, especially since the view in Kyoto is absolutely breathtaking! 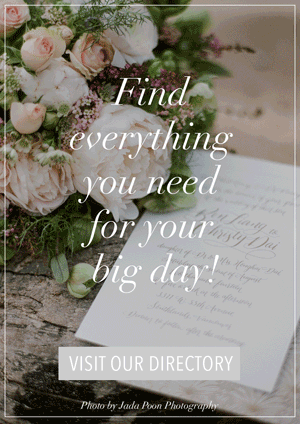 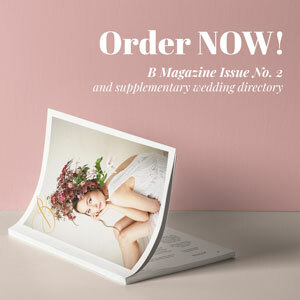 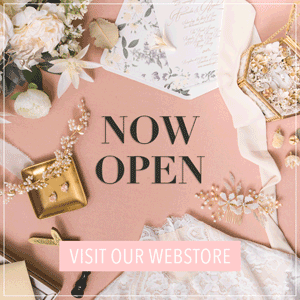 For more wedding vendors, see our Directory!